In a previous article on privacy we’ve established what it is, how does digitally networking our world affect it, and in a nutshell, why should we care. We established that the best way to ensure your privacy is through technological means, and in this article I offer an overview of what such technologies are. What is common to all of them is that they let you control access to information about yourself, whether it is your location, sites you visit, conversations you have online, things you post about yourself, and information that devices you use divulge about you, and which others may collect and track. This overview does not go into too much detail about the use of either of these technologies, but is instead meant to be only a guide to what is available, so you know what your options are. These technologies can also be referred to as Privacy Enhancing Technologies (PETs). Encryption is probably the most important and most effective privacy protection technology. Everything that is encrypted becomes an unreadable jumble to everyone except the one holding the key required to decrypt it. You can encrypt email messages, instant messages, the entire data stream over an internet connection (using a VPN), specific files and folders of data or entire hard drives, and so on. The widely used encryption standard is OpenPGP with most popular implementations being PGPi and GnuPG. Here are some major examples of the uses of encryption for protecting privacy. With special software and appropriate plugins available for many email clients you can encrypt all or some of your email messages, making them completely private. While there are multiple methods of encrypting such messages, public key encryption is the most common. It involves two keys, or a key pair, one public and one private. The public key is used for encryption, and the private key is used for decryption. If you want to send an encrypted message to someone and ensure that only that person can read it then you use that person’s public key to encrypt your message. Then that person can use his or her private key to decrypt it. Since that private key is a pair to the public key nobody but that person can decrypt that message, making it fully private. IM conversations (such as MSN) can be encrypted too, using instant messaging clients that support encryption (such as Pidgin). Once both you and the person you are talking to enable encryption, your conversation will be private, or undecipherable to anyone who might intercept the messages. Another common use of encryption is in a Virtual Private Network. A real private network is the one between devices in your home, sans the connection to the internet. Nobody can intercept the data traveling between computers within your own four walls, especially if they are connected by a wire. A virtual private network emulates this scenario across computers and devices on the public internet, by encrypting connections between them. When you connect your computer to a VPN this connection is encrypted, and you proceed to browse the web from within that network. This means that a web site that tracks where you are coming from wont see your own local IP address accessing it, but a random computer that is a part of the VPN you are in. This protects your anonymity by not linking your online activity to your IP address and your location. The added benefit is that by appearing to visit from a computer in another country you could access content which is locked out of your country, which gets around censorship. A couple of good examples of VPN services include ProXPN, which is free with limited bandwidth, and HMA! Pro VPN. A proxy is simply a computer that, when used, stands between your own computer and the web. So when you visit a web site through a proxy your computer is not connecting to the web site directly. Instead it connects to a proxy server telling it to fetch and send you the web site. This means that the web site owners cannot see your computer (your IP address) accessing the web site, but instead see the address of a proxy server. This is similar to the VPN scenario except there is often no encryption involved between the proxy and your computer, making the VPN solution superior. While proxies can be practical for visiting web sites blocked in your country or local network, or making it just a little bit harder to trace what you’re visiting on the web, VPNs generally represent a much more complete and effective solution. Proxies are often slow, and with high disconnection rates. They can sometimes be frustrating to use. Remailers are essentially proxies for sending email. Instead of sending an email to a recipient address directly, you send it to the address of a remailer server, and then tell this server to resend that message to the destination address. This way when the recipient receives your email he wont know it was you who sent it. He will only see the address of the remailer service. As such, remailers can be used to send anonymous emails, and have anonymous conversations. 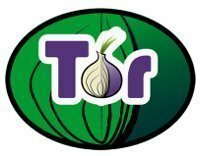 Electronic Frontier Foundation (EFF) set up a system called The Onion Router (Tor) for the purpose of enabling online anonymity. It’s a bit different from both VPNs and proxies. It uses a network of volunteer servers to make the user untraceable, and also uses a layered approach to encryption (hence the “Onion” in the name), meaning that it encrypts and re-encrypts the data being transfered multiple times. As sophisticated as it might sound, like all such systems, it doesn’t guarantee 100% invulnerability to a compromise of anonymity since the entrances and exits to the Tor network can still be recorded by someone who might want to track you down, but it is still very useful to making it much harder for your activity to be tracked. Some web browsers come with a “Do Not Track” option, but this does *not* guarantee that you wont be tracked. When this feature is enabled your browser simply tells the web site you’re visiting that you don’t want to be tracked, and the web developer may or may not have designed the web site in such a way to cease any tracking activity once this flag is encountered. It is worth mentioning, however, the practice of browser fingerprinting. All of the information your browser emits while visiting web sites, including which browser it is, what version, and which plugins it has installed can be gathered into a so called “browser fingerprint”. The interesting thing here is that the more uncommon plugins you use, or the stranger your browser configuration is, the more unique you become. And the more unique you are the more identifiable you are. EFF has created a tool that checks how unique you appear to be on the web, and therefore how big a target you might be. The tool is called Panopticlick. Some plugins also exist to make it easier to connect to an appropriate proxy server. Accounts with fake user data can be created and used to protect your anonymity, albeit the legality of this practice may depend on the service you are creating the account with. These accounts can also be shared with others so they can use the service without registering themselves and providing their identifiable information. Single use email addresses are email addresses which are used only for one email or one conversation, and discarded afterwards, making the sender unreachable and harder to trace. 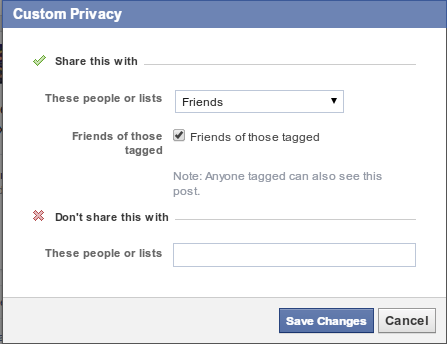 Almost everyone at this point uses Facebook, so it is worth remembering that Facebook, along with other similar services like Google+, includes privacy controls that can be used to limit who can see your posts on your profile or timeline. It is advisable to check these settings regularly, to make sure your posts aren’t being seen by people you don’t want to see them. However, such controls will only get you so far. With social networks in general common sense should be used. If something is truly private the safest thing is to not post it in front of other people at all. Also, if you want to be largely anonymous online, but have a real name on your Facebook or Google+ account, then you should pay attention to how much you reveal about yourself lest it not compromise your other privacy protections, and with it the data you do not want to share with anyone. Of course, the extreme, but also the cleanest way to ensure social networks don’t leak data about you, is to not use them at all. Your choice, but so long as you use them, take advantage of the control you do have. A little bit less common, but increasingly interesting, is the digital cash technology. The reason it is relevant to privacy is that it can make your financial transactions truly private. Currently the best known example of this is Bitcoin (or BTC). Bitcoin transactions are completely anonymous, and fully encrypted. The only thing attached to your bitcoin transactions is an alphanumerical code called a Bitcoin Address. No other information is required. Online wallets may require your email address to login and access them, but you can also use a bitcoin client on your computer, in which case you don’t need to provide any additional info, and have a wallet in your own computer. You just have to be careful not to lose it. 380 queries in 0.590 seconds.